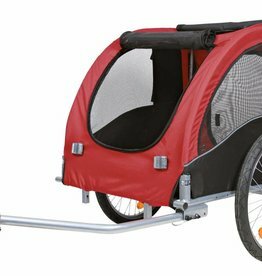 Bike trailer, tow-bar & biker bags. 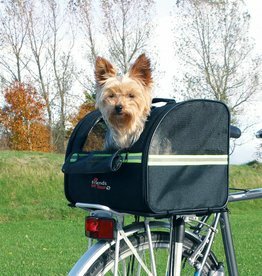 Trixie Front Box Basic for bicycles, 38 x 25 x 25cm, black/grey Made of hard-wearing polyester. 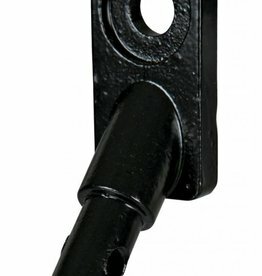 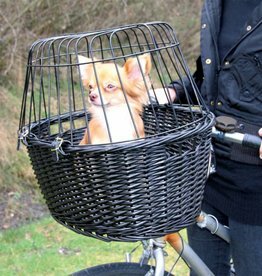 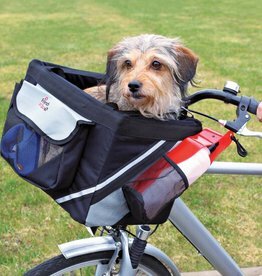 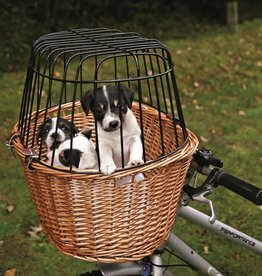 Fixes onto the handlebars with nylon straps, and can also be used as a carrier.